I am troubled by news reports and statistics showing that crime in Berkeley has steadily increased over the past several years. Although the overall crime rate is lower today than it was a decade ago, the recent uptick – a trend replicated nationally – is worrisome and must be addressed. I, along with other council members, want to do everything we can to help the Berkeley Police Department not only fight crime, but be proactive in crime prevention. Please know that improving public safety is a top priority and the City Council has been working over the last two months to address police staffing and increase resources for our Police Department. I want to remind residents that in a “strong city manager” form of government such as ours, the mayor does not direct the day to day operations of the police or have any say on how the agency’s resources are spent. However, I am here to support Police Chief Andrew Greenwood and work with him to address retention and recruitment, and address the uptick in crime. While we work to be proactive in addressing crime, we also have to be careful to not jump to conclusions about who is behind these incidents. While the number of homeless have undoubtedly increased on our streets, there is no evidence that those without shelter are responsible for the vast majority of crime. In fact, the rise in assaults is directly attributable to last year’s protests aggravated by people coming into our community to cause a ruckus and the theft increase has much to do with laptop thefts in our cafes. As housing prices soar, income inequality also rises, leaving many people lost and vulnerable. Ask any criminologist and they will tell you that the reasons behind any increase in crime are complex and cannot be boiled down to one simple answer. Having said that, we absolutely need to assist our police department in retaining officers and identifying more resources to deal with the homeless so that officers are not continuously diverted. Ultimately, we want our residents to feel safe, our police to have the tools to do their jobs well and find appropriate spaces for the homeless that do not pose a risk to residents, businesses and schools while being realistic about our lack of shelter. I want to commend Berkeley Police for making a number of high profile arrests in response to laptop thefts. We are committed to doing everything we can to make sure that our police continue their great work in keeping our community safe. Thursday, March 15, 2018, 7-9pm. Please join me, District 1 Councilmember Linda Maio, and BART Director Rebecca Saltzman for a community discussion on the suitability of North Berkeley BART Parking Lot as a site for housing. BART will present on the site’s suitability for housing, given the presence of the tunnel underground, and discuss its transit-oriented development policies. This will be followed by questions and discussion. Please note: No proposal has been introduced at this time to build housing on the parking lot. While a community group has circulated a rendering, it is their conceptual plan and is not being put forward by the City of Berkeley, BART or any housing developer. The aim of this meeting is to discuss the suitability of building housing on the parking lot and not any rezoning of the surrounding neighborhood. This meeting is intended to be the beginning of a robust community process regarding any development on the North Berkeley BART Parking Lot. We look forward to your ideas as we begin this conversation! Berkeley’s infrastructure is rapidly deteriorating due to age and needs to be upgraded. Unfortunately, the city is facing a major deficit in stormwater capital improvements and cannot afford the $208 million in needed repairs. Storm drainage rates have not increased since 1991 and street lighting rates have not been increased since 1982. Our city cannot responsibly go forward without investing in the future safety of critical infrastructure. To discuss increasing rates, the city will hold a community meeting on Thursday, March 22 at 6:30pm at 1947 Center Street , in the Multi-Purpose Room, located in the basement. Please watch for information in the mail and visit the City’s webpage to learn more about streetlight and stormwater needs here . Improving our stormwater system will reduce flooding and limit how much stormwater empties into our creeks and bay. 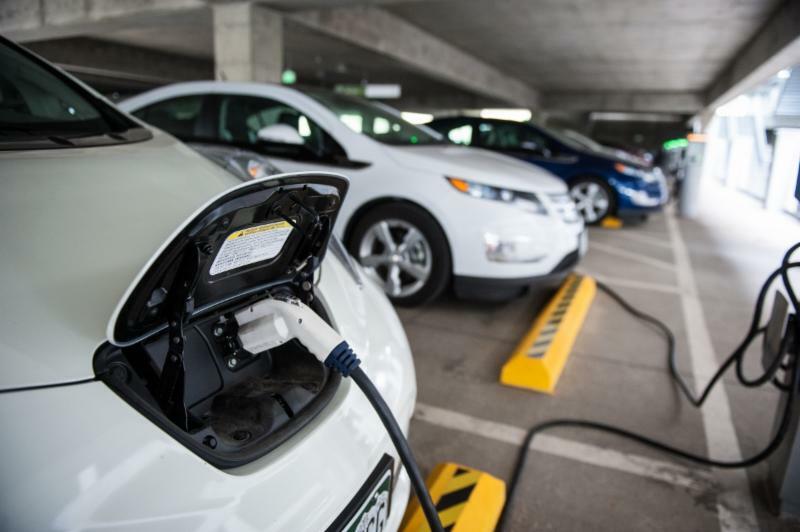 On February 27, the Berkeley City Council voted to extend the Residential Curbside Electric Vehicle Charging Pilot until 2020. The pilot was created in 2014 in response to requests by property owners for conversion of front yard parking spaces into on-site chargers, and a demand for curbside chargers for properties without off-street parking. The pilot prioritizes new on-site charging spaces, and allows up to 25 curbside chargers. Curbside chargers would be available to any vehicle subject to posted street parking restrictions. The purpose of the pilot is also to expand EV infrastructure in Berkeley. There are some 1,500 electric vehicles in our city, along with 14 charging stations. Level 2 charging ports, and 20 new Level 2 ports will be added at the new Center Street garage this year. Electric vehicles are central to Berkeley’s Climate Action Plan since cars are responsible for 56% of our city’s greenhouse gases (GHGs). Under the Climate Action Plan, our city is working to reduce GHGs by 80% by 2050. In addition to the pilot, Berkeley is engaged in many initiatives to expand electric vehicles, including an EV Action Plan to outline further investments in green infrastructure such as chargers on city property, chargers accessible to multi-family properties, and EV car sharing. With the recent announcement by Immigration and Customs Enforcement (ICE) Director Thomas Homan that it will target as many as 1,500 people in Northern California, there has been a great deal of concern about what to do in case ICE comes into Berkeley. Thanks to Oakland Mayor Libby Schaaf, we were able to notify East Bay residents about potential ICE raids in recent weeks. Despite that, over 200 people were still arrested. Of those, more than half did not have any prior criminal record. This is contrary to ICE’s stated purpose that it will focus enforcement on dangerous and violent criminals. Not surprisingly, the recent ICE raids have sown fear, prompted children to miss days of school and have resulted in less trust between law enforcement and immigrant communities. Berkeley has a long history as a Sanctuary City and is committed to educating everyone about their legal rights in the face of ICE arrests and deportations. We strengthened our sanctuary policy last year to make it clear that no police officer or city employee will communicate with ICE, share information, assist in arrests, or allow access to ICE agents, unless they have a judicial warrant. We are also working to allocate $50,000 to legal providers to provide representation to anyone arrested or facing deportation, and are in constant communication with the Alameda County Immigration & Legal Education Partnership, which tracks raids, provides access to attorneys and trains ordinary people to monitor ICE activity in order to make sure residents' constitutional rights are not being violated. No matter who the president is, everyone living in the United States has certain basic rights under the Constitution, including undocumented immigrants. Click here to learn more about your constitutional rights and available resources. The East Bay Sanctuary Covenant and the East Bay Community Law Center offer “know your rights” education and nonprofit legal services. Just before Christmas, the City of Berkeley opened a nightly Winter Shelter at a city-owned warehouse at 1925 Ninth Street. The new shelter provides a safe and warm space for up to 90 individuals each night and is operated by Dorothy Day House. It includes restrooms on-site, meals, secure storage and allows individuals to bring their pets indoors. It has been at capacity almost every night, according to shelter operators. This is due to not only the cold winter season, but the growing number of homeless persons in our city. In addition to 1925 Ninth Street, the city will be opening a second shelter on an as-needed basis during inclement weather. The expanded Winter Shelter program was funded by the City Council in December as part of a $2 million investment in new shelter and services to address the growing homeless crisis. The shelter provides clothing donations and bedding to shelter residents. If you would like to help with the clothing drive, please drop by the Winter Shelter at 1925 Ninth Street/University after 6 p.m.
Raise permit fees to eliminate the Program's operating deficit. Authorize new meters in West Berkeley to manage commercial parking adjacent to residences in mixed-use areas. Read the proposed changes to the RPP program here . Strengthen existing fire safety measures utilized by the City of Berkeley for the safety and well-being of its residents. Strengthen existing fire education outreach efforts to make contact with more citizens by using both digital and paper media platforms. City staff will prioritize those measures that can be implemented immediately and will achieve the most benefit towards fire safety. I want to thank the Commission for its incredible work, particularly my Disaster and Fire Safety Commission appointee Victoria Legg. Berkeley residents between 14 and 25 years of age can apply to be part of YouthWorks, which allows youth to get valuable paid work experience. YouthWorks places local youth in summer jobs lasting up to 7 weeks, for up to 30 hours per week, earning $12 per hour. The program start in early July. Youth can work in office administration, government, tobacco prevention, recreation, youth development and more. Applications are due by March 30th and can be submitted to the YouthWorks office on the 2nd floor of City Hall, 2180 Milvia Street. For more information visit the YouthWorks webpage at cityofberkeley.info/youthworks/ . On February 13, the Council voted to make Berkeley a Cannabis Sanctuary City, the first in the country. This means that no city department, agency, officer or employee can use city funds to assist in the enforcement of federal laws surrounding cannabis. The City of Berkeley has had a long commitment to reforming marijuana laws. In 1979, voters passed the Berkeley Marijuana Initiative, which called for the city government to support all efforts towards the reform of marijuana laws. Most recently, in 2016, 83 percent of Berkeley voters and 57 percent of Californians voted in favor of Proposition 64, a statewide ballot initiative to legalize adult recreational cannabis for those over 21 years old. Berkeley’s sanctuary law does not cover other substances considered Title I drugs by the federal government. Nor does it prevent city resources from being used to investigate cannabis-related crimes which are illegal under both federal, state and city laws. More than half of all drug arrests in 2010 were for marijuana, according to the ACLU, with Blacks nearly four times more likely to be arrested than whites. Today, jurisdictions around the state, including Alameda County, are starting to repeal marijuana-related prison sentences, but the damage has impacted millions of people and will be felt for many more years to come. As Berkeley works to regulate the sales of recreational cannabis, it also understands the importance of enforcing our city’s smoking laws and protecting our youth. In 2016, Berkeley was designated an ‘Age Friendly City’ by the World Health Organization. As a result, the city is creating a plan to address the needs of people aged 50 and over. The Age Friendly Berkeley Project will focus on outdoor spaces and buildings, transportation, housing, social participation, respect and social inclusion, civic participation and employment, communication and information, and community and health services. To start, residents aged 50 and over are invited to take an anonymous survey that will help determine community members’ biggest concerns about living in Berkeley as they age, and make appropriate changes. The survey is available online and will be open through April 10. Results will be discussed at a community forum in late spring. The final report will be made available for the public in November 2018. Please take a moment to fill out. Your input is important. If you live in South Berkeley, we want to hear from you! 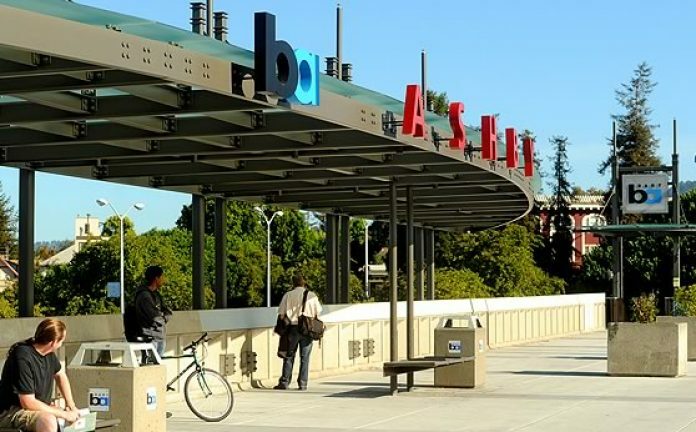 From March 10 - 23, the City of Berkeley Planning Department is hosting a Community Open House at the Ed Roberts Campus to show several options for redesign of the Adeline Corridor, roughly from the northern border of the Ashby BART station to the Oakland border. The plans focus on building new housing, protecting affordability, economic opportunity, transportation, public space and land use/community character. Click here: youtube.com/watch?v=j9DQrLG0ncY to see a brief video of some suggested ideas for Adeline Corridor. The open house will also address land use and zoning, and will show updated concepts for the right-of-way street design, incorporating feedback that was received in the last public exhibit last year. It will be open to the public anytime from 8am and 6pm on weekdays and 9:30am to 2pm on Saturdays. City of Berkeley staff will be present from 11am until 2pm every business day to answer your questions. Additionally, there will be extra evening exhibit hours from 6-8pm on Monday, March 12, Thursday, March 15, Tuesday, March 20, and Wednesday March 21. Topic specific workshops will also be held throughout the time period. For more details, visit www.AdelineCorridor.eventbrite.com . RSVP at 510981-7409. There is no question we are living in uncertain and terrifying times for undocumented immigrants. On March 16, the East Bay Sanctuary Covenant will host an educational event for Deferred Action for Childhood Arrivals and Temporary Protected Status holders and undocumented community members. A panel of lawyers and activists will address discuss the state of DACA, TPS and other legal relief, report on national legislation and actions and explain California laws that protect immigrants. ﻿The event will also include a Know Your Rights workshop and support creating Emergency Family Preparedness Plans in case of ICE raids. Attorneys will be available for free legal consultations, and there will be activities for children.